10 Best Toy Storage Bins for Kids! What are the Best Toy Storage Bins and Toy Organizers for Children? When my daughter was little I had a few toy organizers and storage bins spread out around the house and she loved dumping everything on the floor and then putting everything back inside! I was able to find some gigantic toy storage organizers full of plastic bins that are ideal for small and medium toys! They look very cute in a child’s bedroom and they make great gift ideas anytime! On this page you are going to find all kinds of toy storage bins for kids, from very large and tall ones, just like this one you see on this picture, to practical and smaller ones for toddlers and also a few cute toy boxes and toy benches as well…. I hope you find the perfect toy storage bin here or your child! 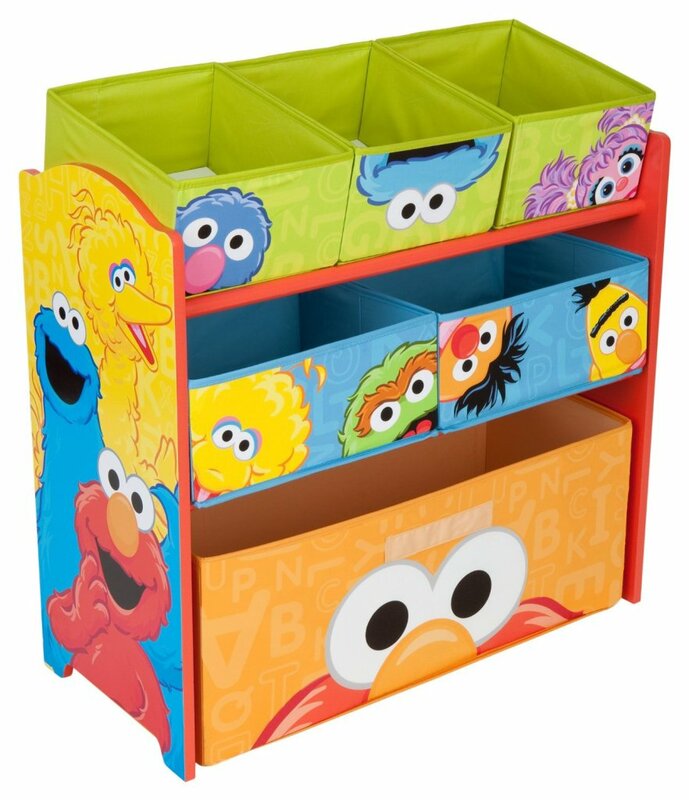 Sesame Street Multi Bin Fun and Colorful Toy Organizer! Why having a cute toy organizer is very important! A cute, fun, colorful and unique toy organizer is obviously a great way to teach toddlers how to put their toys away after playing, of course, but they will also develop a sense of ‘accomplishment’! I noticed that with my own daughter, when she was 1 year old! At first she would only take all of her toys from her big toy basket, one by one and throw them all over the house! But after a while, she started to PUT THEM BACK inside! And her face would just light-up in a way that I could tell she was really PROUD of herself! I hope you find the cutest one for your toddler! It’s very easy for toddlers to use! We all agree that the best toy storage bins and organizers for kids are the ones that are easy for the child to reach and learn how to use, obviously! I just love these storage units with cute and colorful toy storage bins! They are absolutely perfect for storing small toys in a such a fun way! 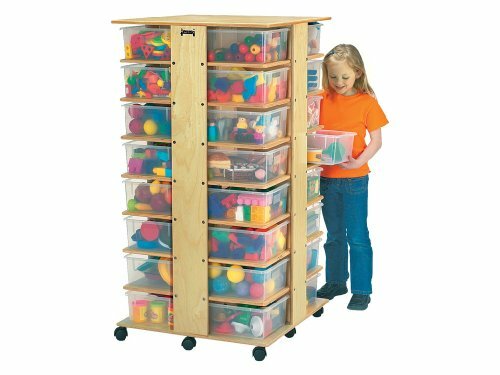 This is a beautiful, fun and colorful practical (not to mention very sturdy and heavy-duty) wooden toy tray cabinet with 25 plastic bins! The colors are fun, assembly is easy and it looks amazing in any child’s bedroom! 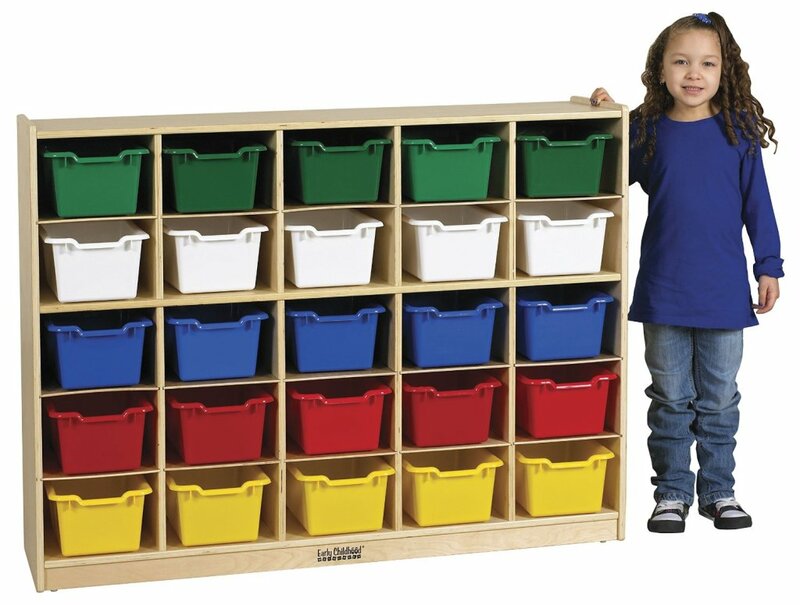 HUGE 30-Tray Storage Toy Organizer Cubicle with Multi Colored Trays! Best Toy Storage Bins and Toy Organizers for Children! This huge tray cabinet toy storage unit is awesome! Will make your child’s bedroom nice and organized in no time! It’s also perfect for a day care center of classroom! 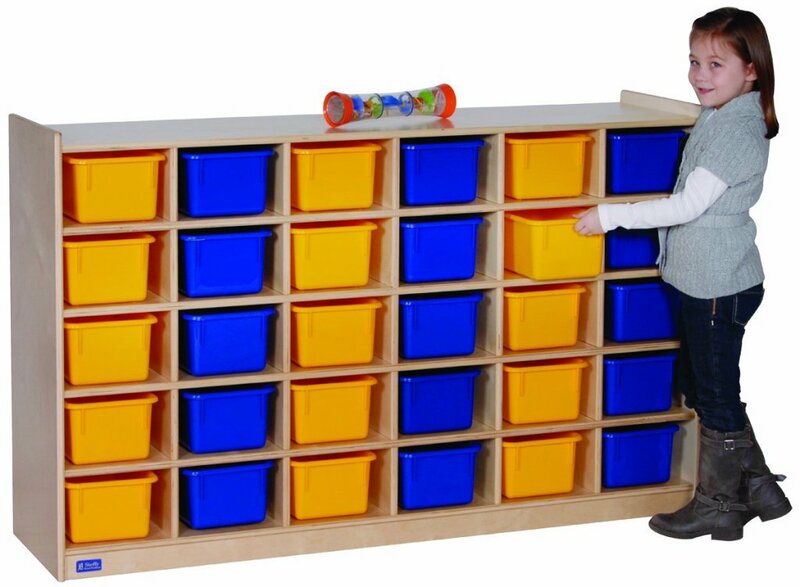 This toy storage unit comes with the 30 colorful toy trays as well! Very sturdy and very durable! 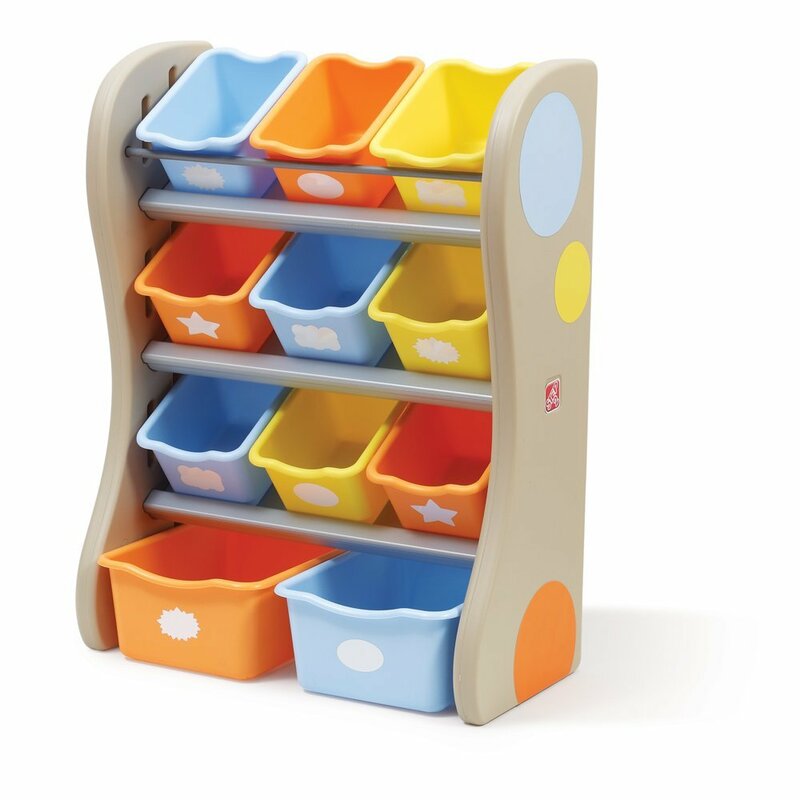 Cute and Colorful 12-Bin Toy Organizer! 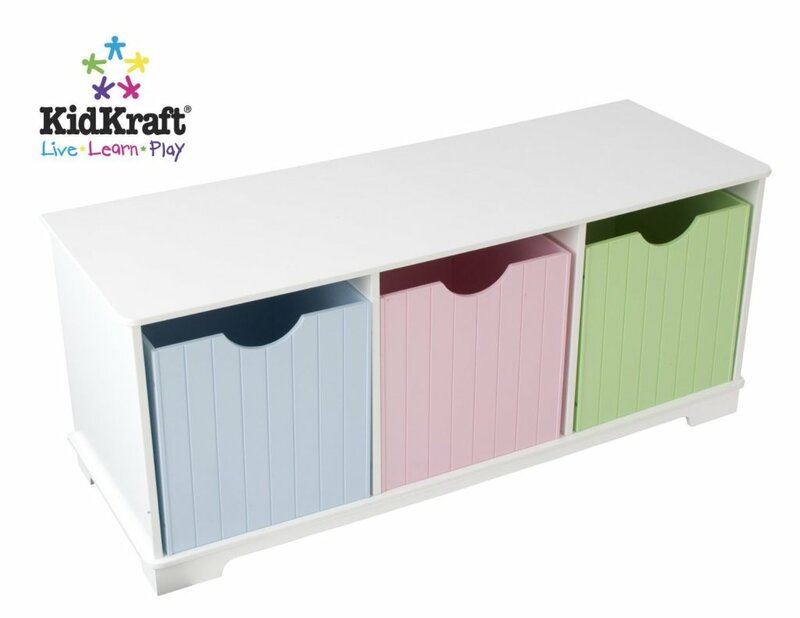 This is also a fun and very practical toy storage unit that includes 12 colorful bins! The tilted position is perfect for toddlers and smaller children! They can easily reach and get their favorite toys! Very easy to clean as well! When they are done playing, they also love putting the tray back in place! Mobile Toy Storage Rack with Toy Buckets! 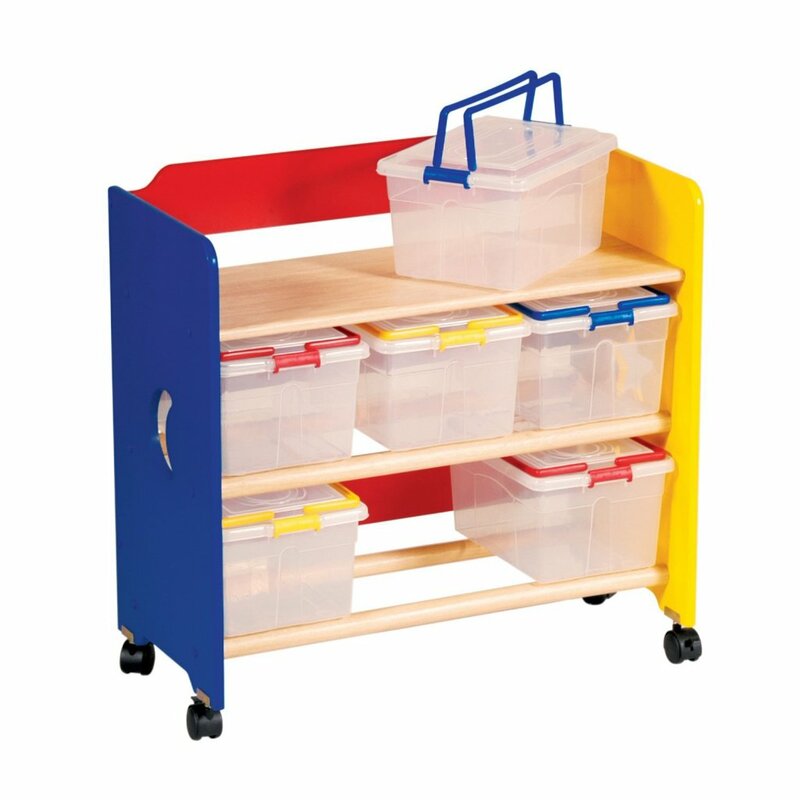 This is a sturdy, fun and very functional mobile toy storage unit that comes with the clear toy storage bins with handles! Awesome gift idea for toddlers! 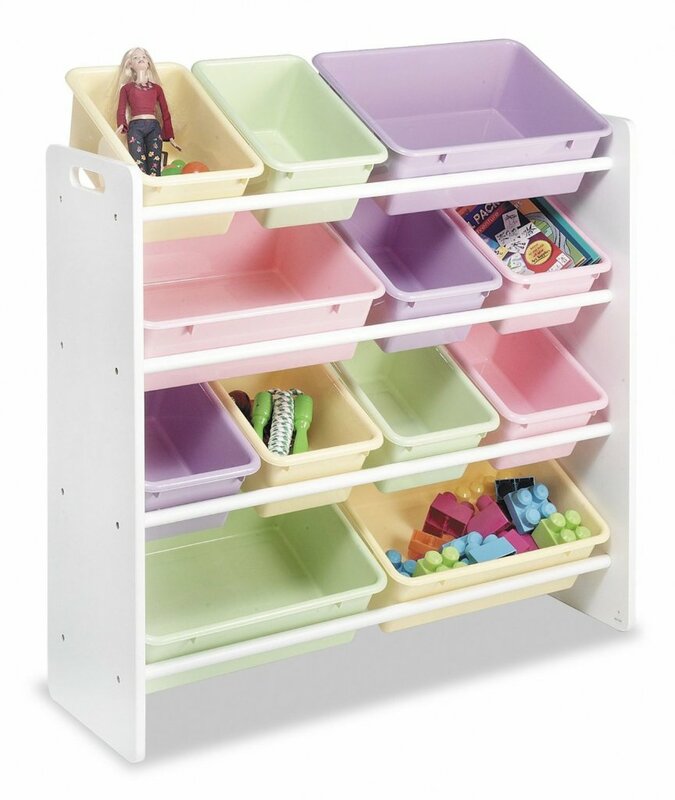 Colorful 3-Tier Plastic Toy Storage Organizer with 12 Bins! Organizing toys and cute stuffed animals has never been more fun for little boys and girls! This is one of the cutest and most colorful plastic toy organizer for kids around! It comes with the colorful and sturdy front bins which are fun and very easy for kids to use! Some parents even buy two of these to fit all the toys! Fun Toy Storage Organizer Bins! Is there anything more practical for a child’s bedroom than a great toy organizer? 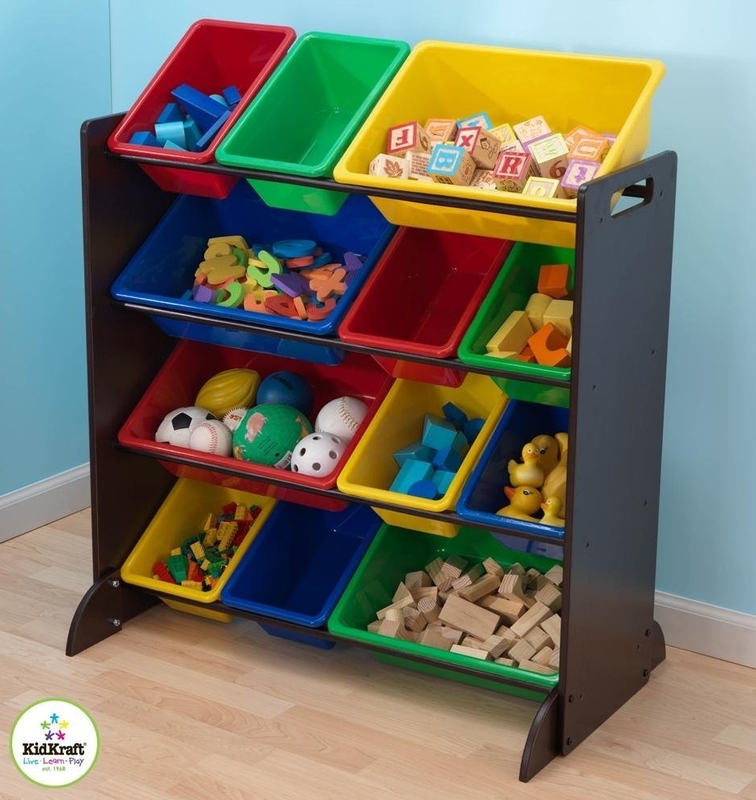 This is a nice and affordable colorful toy organizer with 11 plastic toy storage bins! Very creative and so adorable! 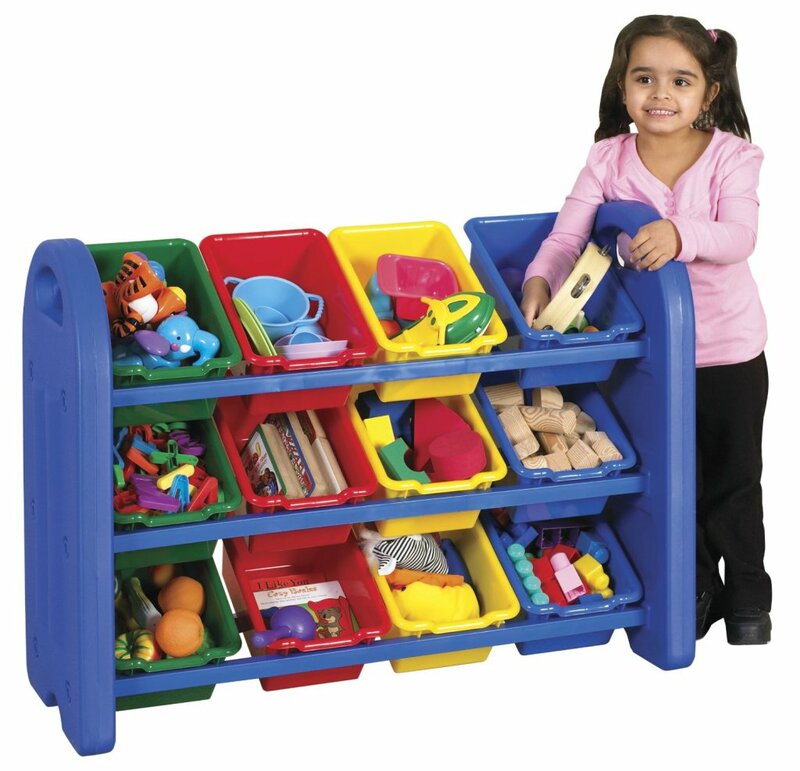 This is a beautiful and very stylish sturdy wooden toy organizer unit that comes with 12 colorful plastic storage bins! Looks amazing in a child’s bedroom or playroom and it’s a lot of fun to use as well! If you have more than one child you can get two or three of these and have them all against the wall. Very easy to put together and very well-made! What a gorgeous and very practical wood toy storage bench with three colorful toy storage bins!